Dr. Nair is an urgent care doctor, and focuses on treating injuries or illnesses that require immediate care. At Long Beach Urgent Care, Dr. Nair has a mission to provide professional, personalized and convenient treatment for your urgent care needs. Dr. Nair is accepting new patients and diligently keeps in touch with them, following up after visits, and taking the time to discuss their care. 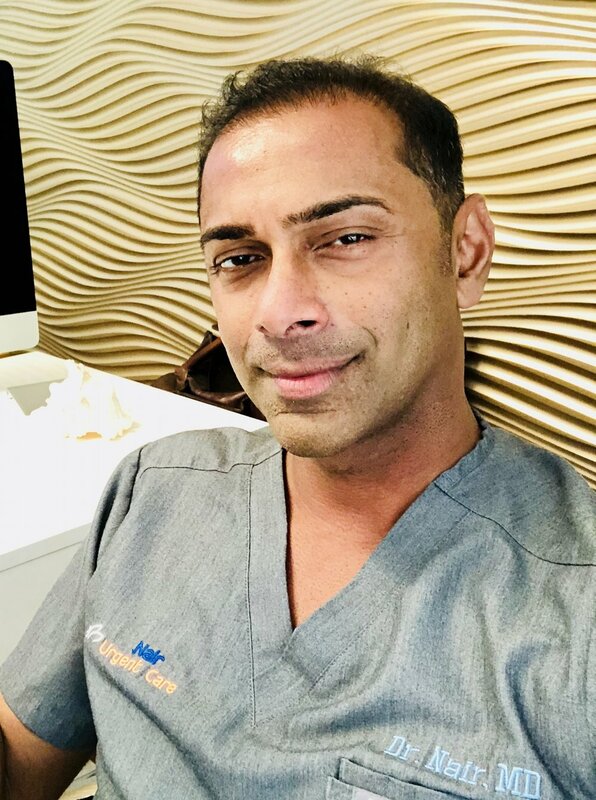 If an urgent case arises, the clinic is open 7 days a week where a friendly and helpful staff can connect patients with Dr. Nair, or one of his colleagues. Dr. Daniel Buda at Choice Care is an Osteopathic Physician who graduated in the top one third of his class at Western University of Health Sciences. He completed his residency in Family Medicine at the University of California at Irvine. While working at UC Irvine Medical Center, Dr. Buda was recognized for his exemplary bedside manner, his caring, compassionate approach to patient care, and exceptional communication skills. Prior to attending medical school Dr. Buda received his Master’s degree, followed by a Doctor of Science degree in Physical Therapy from Loma Linda University. His Doctoral Dissertation focused on the study of upper extremity disorders with an emphasis on Carpal Tunnel Syndrome. After working as Director of Rehabilitation in a variety of physical therapy outpatient centers, he founded Orange County Doctors of Physical Therapy, a private outpatient orthopedic rehabilitation center where he serves as Chief Executive Officer and has been practicing for the past fourteen years. Jen has over a decade of Hospital-based Emergency Department experience. For the past 4 years she has been at Hoag Hospital in Newport Beach and Irvine. She is passionate about her work and loves spending time with her patients. Jen is a board member of a non-profit medical mission and routinely volunteers her time in Southeast Asia. She loves to do Yoga, Pilates, play tennis and tries not to crash when she's riding her mountain bike.